Chef Yair Feinberg has fingers in many pots that create the culinary stew of today’s Tel Aviv. The Israeli native of Kibbutz Ein Hashlosha is not only a chef who has cooked in Michelin-decorated restaurants in France and Italy, but also an entrepreneur who created a business importing cooking appliances to Israel, a culinary celebrity known for T.V. work, an educator who gives cooking workshops and an unofficial ambassador of all things culinary who leads visiting chefs and tourists on tours of Tel Aviv markets. 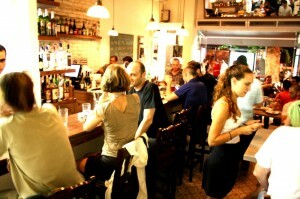 When asked to describe the Tel Aviv food scene, Yair says that Israeli food is pronounced and strong, like the Israeli people and that the country’s food offering is shaped by not only the immigrants that bring their native dishes to Israel, but also the Israelis who travel and import ideas from other countries. Yair credits the vibrant young chefs who take their grandmother’s immigrant recipes and make them with the freshest possible ingredients and up-to-date cooking techniques for creating what is being called Modern Israeli Cuisine. Although he likes many restaurants and claims tourists can find much food to enjoy in Tel Aviv, Yair recommends a few special spots to anyone wanting an overview of Tel Aviv’s best. Wine bar par excellence by Chef Maoz Alonim and Itay Hargil. Everything about the place transports you instantly to Barcelona or Madrid. The place can be quite crowded sometimes but that only adds to the cozy ambience. It is not uncommon to rub shoulders with fellow customers or even start some friendly conversations. 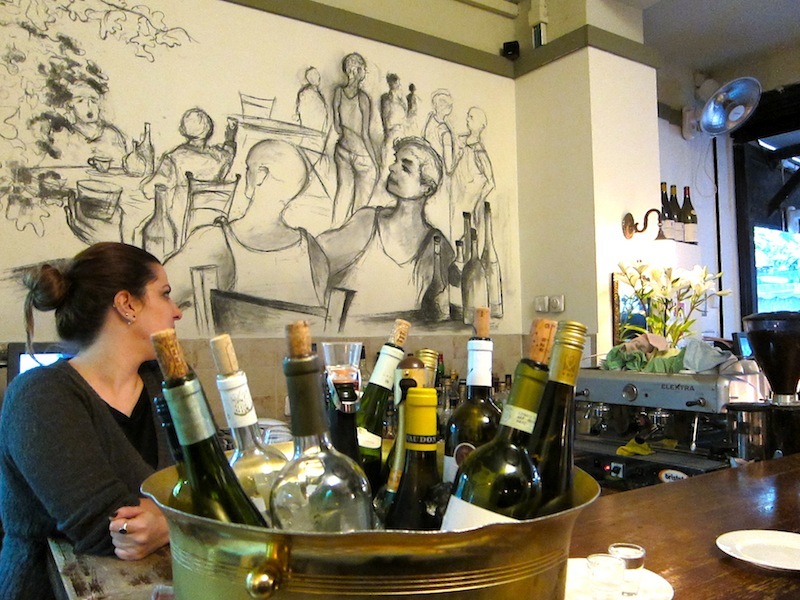 Chef Maoz Alonim is a wine expert and that may explain the more than 250 wines in stock. Not a place for elegant dining, but definitely worth frequent returns. These talented chefs start the day with some shopping at the market itself and slowly build their menu from the day’s find. Other chefs love to hang out here at the end of their day’s work. They wine and dine like there’s no tomorrow. 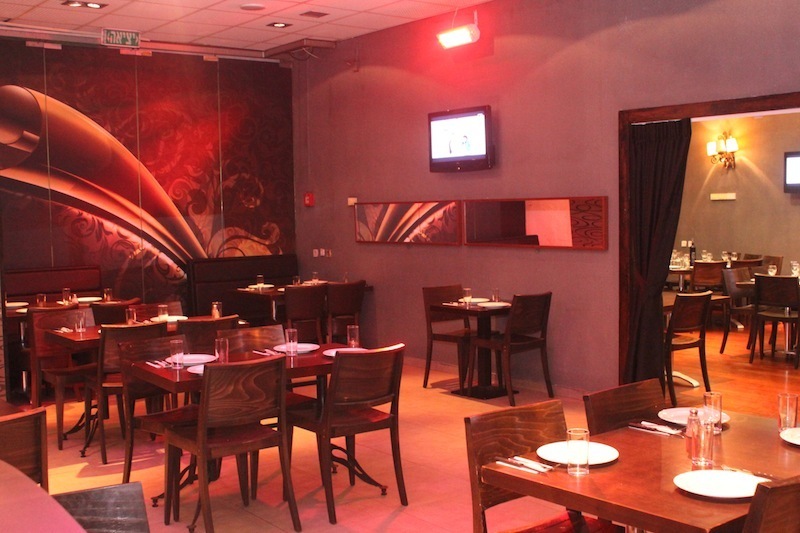 Authentic middle eastern-oriental steakhouse that serves traditional Bukharin dishes with excellent, or perhaps even the best, shawarma in town. They also have an open salad bar and freshly baked pitas. The place is usually packed with waiting customers. A treat you should not miss if you want an authentic Israeli dining experience. Kosher. Most loved hummus on Jaffa’s main street, Yefet. Abu Marwan hummus, I promise you, is the real deal. The chickpeas are to die for. Abu Marwan’s masabacha can rival even that of the fabled Abu Hassan. The hummus is usually served with mini falafel balls and salad but what you should ask for is the grilled eggplant with tahini and lemon. 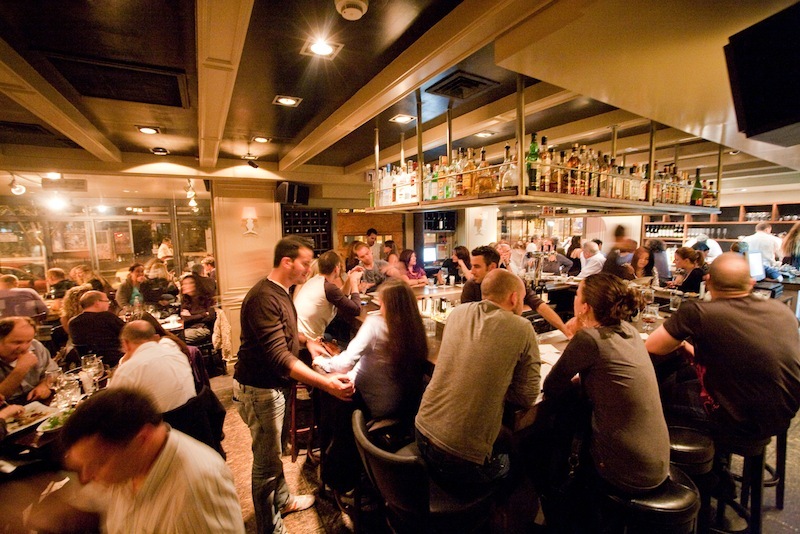 Your Tel Aviv culinary experience wouldn’t be complete if you miss this joint. 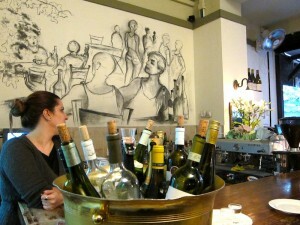 Definitely, my favorite bar/restaurant in Tel Aviv. 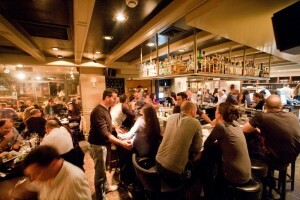 A bustling bar restaurant. Sharon Cohen is both chef and owner and it shows. For five years now, he consistently maintained this place, giving his personal touches with great success. A very modernist cuisine with the best that the Mediterranean has to offer. Sharon uses only the freshest ingredients and marinates them in his pool of creativity until you get a meal that both surprises and delights. Relatively new bar/bistro, but already packed with eager customers. Described as a happy ‘levant’ kitchen or as having that special mix of Tel Aviv-ian bistro and Jerusalem-ite ‘Mahane Yehuda’ joint. Two young talented chefs from the finest restaurants in Tel Aviv (one of them is Yishay Malkov, who used to manage Gordon Ramsay’s ‘Claridges’ in London) set up shop here and are already attracting an audience. 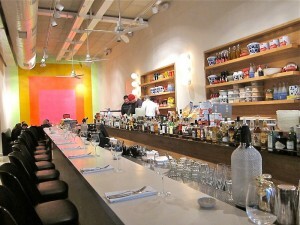 The place has a chilled-out atmosphere that is warm, inviting and unpretentious. They serve really good food that is made by people who know their stuff. The best bistro in town, if you ask me. The second restaurant by one of Tel Aviv’s most respected chefs. Unlike the upscale and classic Catit, the atmosphere here is more relaxed and the food contemporary, but still maintains the same high quality that has been Chef Adoni’s trademark. The menu is minimal, but the food isn’t. 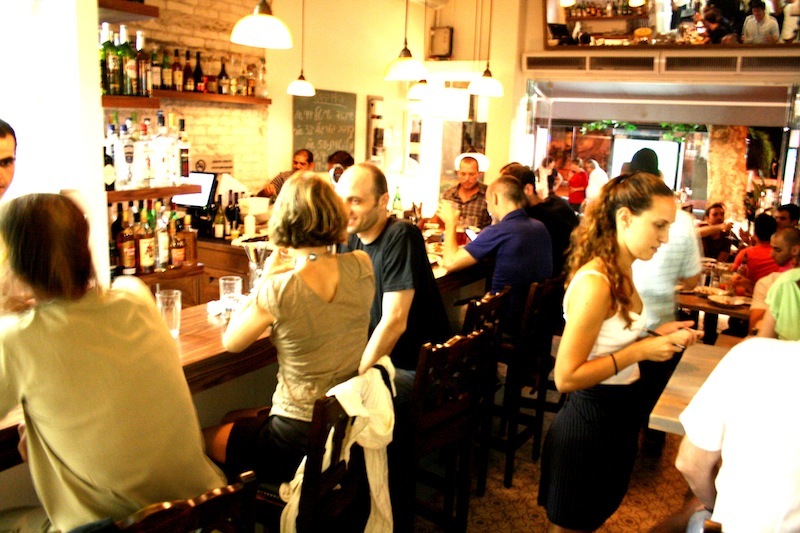 This is a place that really defines dining out in Tel Aviv. This is the place to try Turkish burekas, a classic Israeli snack that is both affordable and filling. Traditionally from the Balkan, it has a crispy, flaky, melt in your mouth crust while inside it can be filled with any of the following- cheese, spinach, spiced mashed potatoes, mushrooms and even chopped meat. 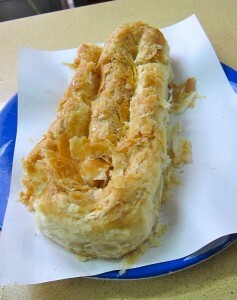 If there is a burekas landmark in Tel Aviv, this is it! Penso has been serving amazing Turkish baked goods for 80 years and is managed by the 3rd generation of the Penso family from Turkey. You can choose three different types of pastry doughs – regular, flaky and phyllo. I highly recommend eating your burekas with a glass of Aryan, a traditional Turkish yoghurt drink similar to Indian lassi—a winning combination. The newly renovated Tel Aviv Port is bustling with energy. Beside the restaurants and shops that have sprouted there is a farmer’s market. Very different from the crowded and noisy Carmel market, the farmers’ market offers artisanal breads, meats and farmhouse cheeses, fair trade olive oils, vinegars, coffee and loads of fresh and mostly organic agricultural produce (picked that very same morning). Almost everyone gives free tasting. Don’t miss the locally brewed beers and boutique wines. It is a colorful and interesting showcase of some of the very best that Israel’s gastronomy has to offer. Open every day but highly recommended to visit on Tuesdays and Fridays.